We enjoyed living near the mountains. The apartment is spacious and interesting, beautiful view from the window and balconies. Nearby are supermarkets. 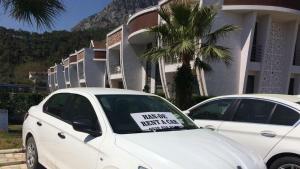 Perfect location, only 5 min far from Kemer city by the car. 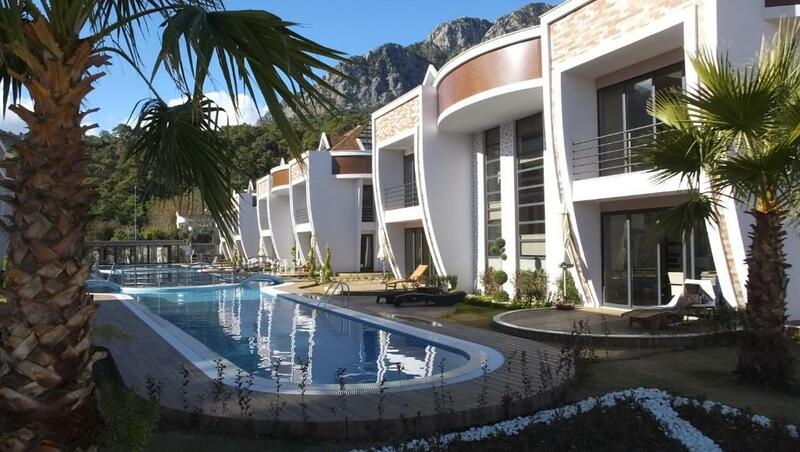 The property is situated in picturesque district, close to Taurus mountains and has a beautiful garden. Local supermarkets Migros, Sok are nearby. The property is very clean and has all modern facilities. Management is very welcoming and showing great hospitality and help. Mr. Turan is very friendly. Excelent location, swimming pool. I will return. This is super. Very relaxing, quite, clean, nice facilities within the apartment. You can have your breakfast by the pool or on the grass. Mr. Turan was super helpful within the community and guided us for my interests outside. The houses were brand new. The pool was nice. Overall amazing value for money. I liked everything in this place. the most is the swimming pool, the nature views and the kindness and excellent service . Very clean, well equipped suits. The pool connects the suits. It is located on the foot of the mountain and you can see a stunning view of the mountain while you sit in the patio. Friendly staff. Highly recommended specially for families and people who are looking for a peaceful and beautiful place. Lock in a great price for Han-De Homes – rated 9.4 by recent guests! 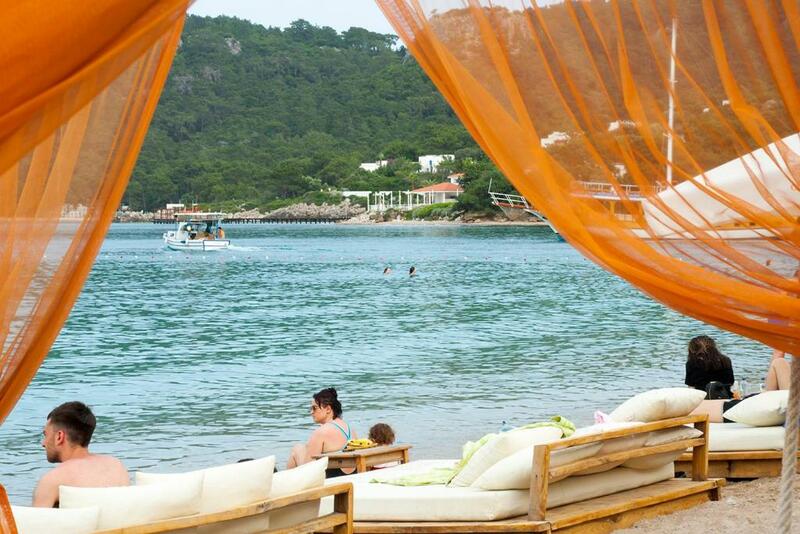 One of our best sellers in Kemer! 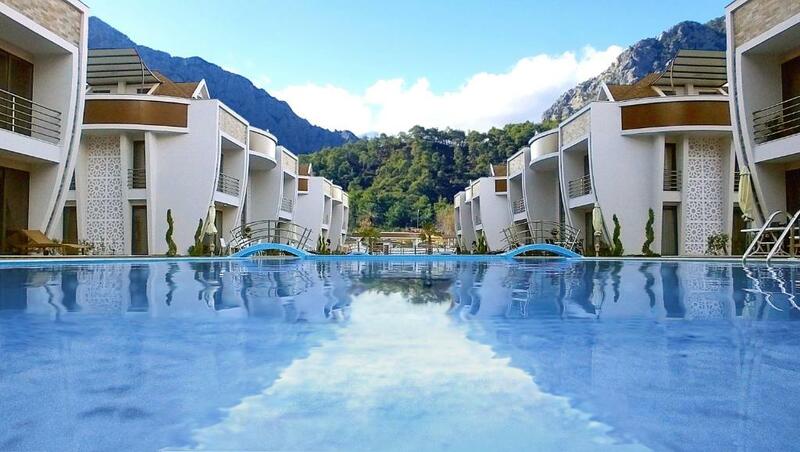 Located in Kemer, Han-De Homes offers accommodations with a terrace or a balcony, free WiFi and flat-screen TV, as well as a private beach area. The accommodations are air-conditioned and has a sauna. All units comprise a seating area, a dining area, and a fully equipped kitchen with various cooking facilities, including a dishwasher, an oven and a fridge. A stovetop and electric tea pot are also featured. This property has an outdoor swimming pool. Moonlight Park & Beach is 3.5 miles from the apartment, while Kemer Marina is 3.5 miles away. 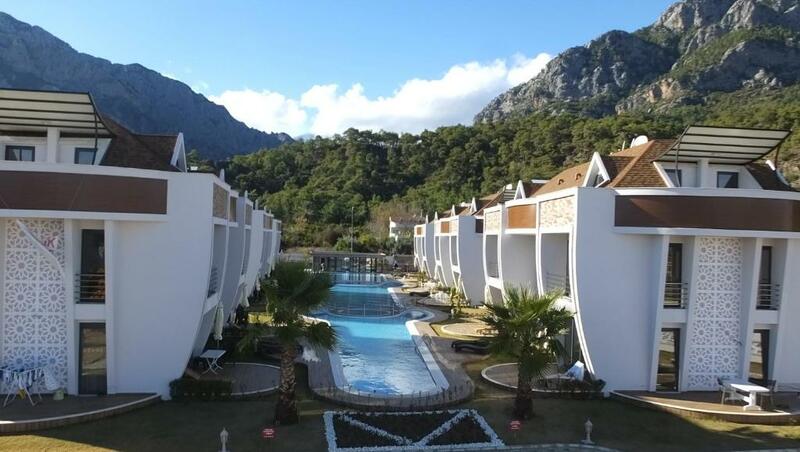 Antalya Airport is 38 miles from the property. This property is also rated for the best value in Kemer! Guests are getting more for their money when compared to other properties in this city. When would you like to stay at Han-De Homes? This apartment has a garden view, sauna and kitchenware. This apartment features a pool view, sauna and kitchenware. 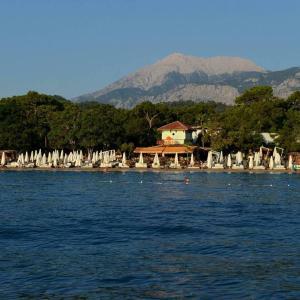 Torosların Akdeniz'le buluştuğu noktada,son derece zengin doğal güzellikleri ve dev turizm tesisleri bakımından tatil adına çok fazla seçenek sunan Antalya Kemer'de eşine rastlayamayacağınız standartlarda bir site: "HAN-DE HOMES" Kemer'in Aslanbucak yerleşiminde bulunan,denize 2,5 km uzaklıkta,portakal bahçeleri ile çevrili,çam ormanlarına nazır "HAN-DE HOMES" ister tek başına ister kalabalık aile ortamında tatil keyfi yaşamak isteyen tüm konuklarına sakin,huzurlu ve kuş cıvıltıları içinde doğal bir ortam sunuyor. "HAN-DE HOMES"un 1+1 ve 2+1 dubleks alternatifli dairelerinde oturma odası ve yatak odası ayrı olarak planlanmıştır.Her bir dairesinde klima,televizyon,bulaşık ve çamaşır makinesi,fırın,ocak,buzdolabı,çift kişilik ve tek kişilik yataklar ile oturma grubu mevcuttur. Doğal ve aile sıcaklığında bir tatil ortamı arayanlara kısa ve uzun vadeli konaklama seçenekleriyle hizmet veren "HAN-DE HOMES"a sizleri de bekliyoruz.
" 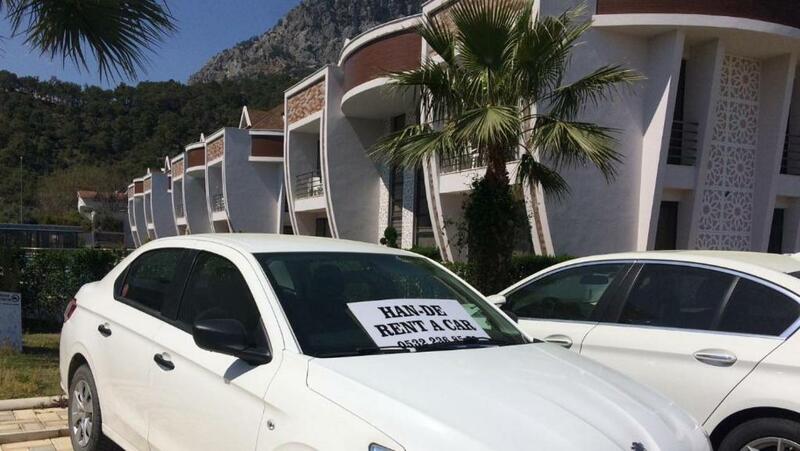 Kemer'in Aslanbucak yerleşiminde bulunan,denize 2,5 km uzaklıkta,portakal bahçeleri ile çevrili,çam ormanlarına nazır "HAN-DE HOMES" ister tek başına ister kalabalık aile ortamında tatil keyfi yaşamak isteyen tüm konuklarına sakin,huzurlu ve kuş cıvıltıları içinde doğal bir ortam sunuyor. "HAN-DE HOMES"un 1+1 ve 2+1 dubleks alternatifli dairelerinde oturma odası ve yatak odası ayrı olarak planlanmıştır.Her bir dairesinde klima,televizyon,bulaşık ve çamaşır makinesi,fırın,ocak,buzdolabı,çift kişilik ve tek kişilik yataklar ile oturma grubu mevcuttur. 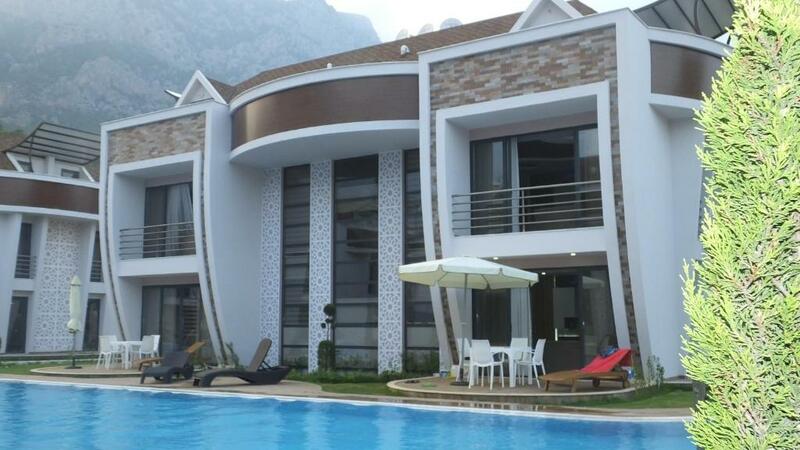 Doğal ve aile sıcaklığında bir tatil ortamı arayanlara kısa ve uzun vadeli konaklama seçenekleriyle hizmet veren "HAN-DE HOMES"a sizleri de bekliyoruz. House Rules Han-De Homes takes special requests – add in the next step! Han-De Homes accepts these cards and reserves the right to temporarily hold an amount prior to arrival. Please inform Han-De Homes of your expected arrival time in advance. You can use the Special Requests box when booking, or contact the property directly using the contact details in your confirmation. A bit slippery floors (be careful with the kids). Feels smaller than stated 90+ sq.mt, maybe it is counted with outside terraces. Turan is very nice host, he provided us with all the necessary info about the surrounding area and helped with everything we needed (baby chair/cot and stuff). Nothing. Every thing was perfect. Silent place. Close to many attractions. The property is on the mountain side, so not on a walking distance to the beaches. We specifically liked to stay close to the mountains (national park area for a quiet stay). We had a car, the beaches are 5-10 mins drive. It's not about apartment. Beach for kid was not good. In all coast in Kemer it pebble. We found something like a sand only in one place. It was small piece of beach 20m length. 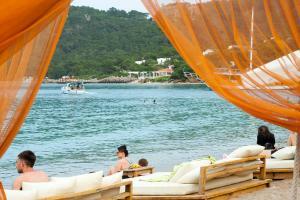 Sea and beach are quite far from the property, could be reached by car or local buses. Maybe internet connexion could be better. Appartment needs curtains darker than the current ones. Daylight comes in easily.